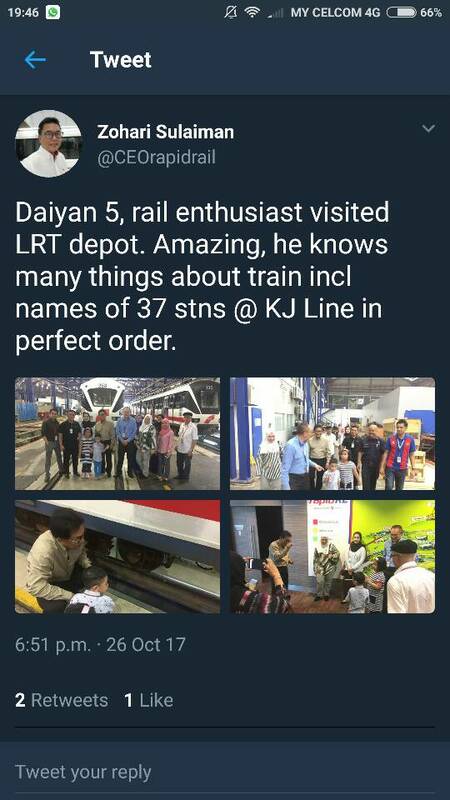 Dato's tweet after the visit.. Almost all of Daiyan's closest relatives and staunch supporters were there. 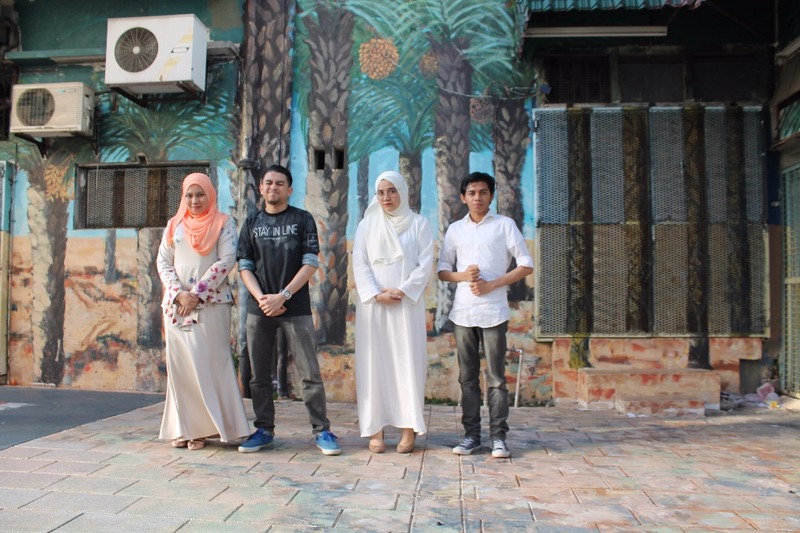 Some took leave from work, Abiy, Ummi, Ayah Ngah and Assu. Sitty, that's me, Tok Bah my hubby, and my younger sister Toksu were by coincidence in town for my daughter Ain's convocation at University Malaya. Cousin Zara skipped school for the day. 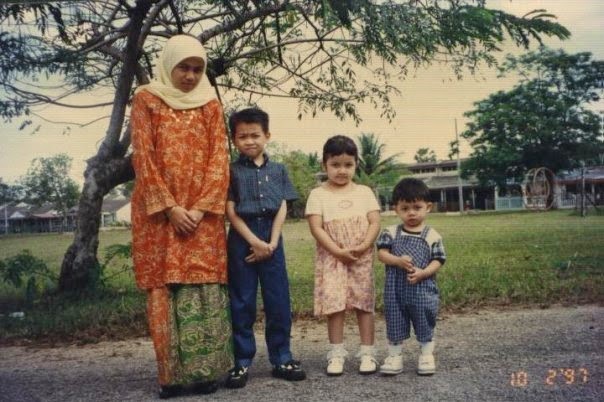 Daiyan's Nenek and Tok Wan could not make it and Uncle Fiq, my youngest son too, who had classes to attend at UniKL. Understandably so did Tokteh (my elder sister), in Kota Bharu who was in fact personally invited by Daiyan "to come quickly, take a flight, for the depot visit". That's the picture which depicted Daiyan's excitement over this forthcoming visit. 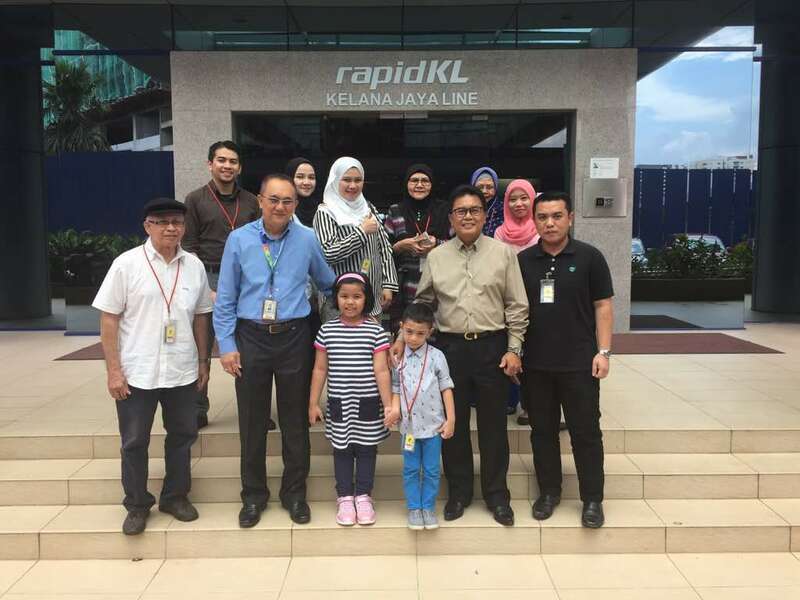 We were greeted by the Dato' Rapidrail CEO's PA, who before hand had informed Ummi's Daiyan, Dini, that Dato' CEO wanted to meet us in person. Wow, what an astonishing news! Hopefully Daiyan behaves, no tantrum which we personally believe he won't because this is his favourite subject.... LRT. We were happy and a bit nervous to meet the big man. 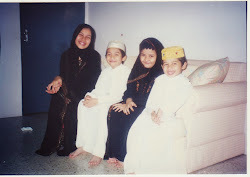 Only Daiyan and his effervescent, bubbly and chuckling cousin Zara, 6 years old, were more naturally themselves . As children, they could not contain their excitements over the surroundings and were thrilled to bits, They were dashing around, admiring the big LRT poster . 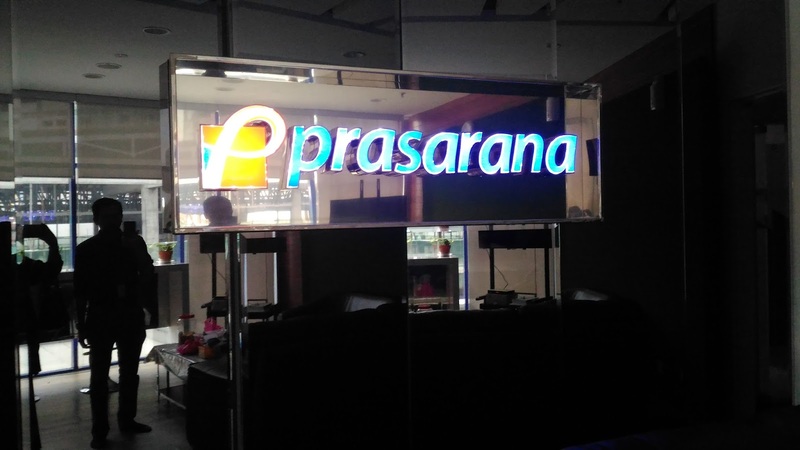 Everything at the Prasana's foyer amazed them. 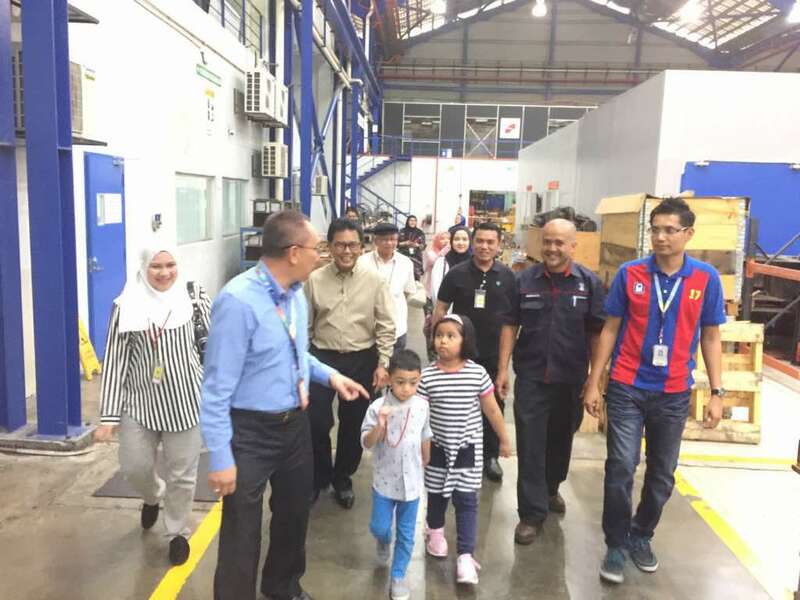 Barely a few minutes later, the elevator doors opened and two men stepped out, CEO Dato' Ir Zohari Sulaiman and COO Encik Ismail Abdullah. They approached and proffered salaam. 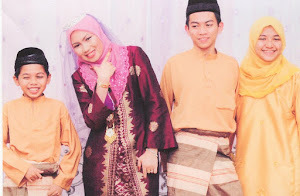 Immediately Dato' Ir. Zohari Sulaiman gave his attention to Daiyan. 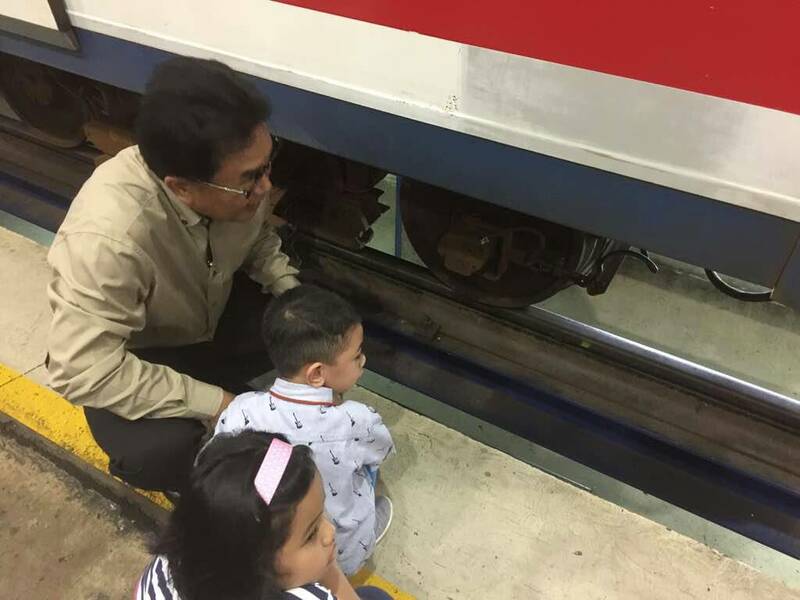 "Now, where is the little boy who loves trains?" Now Daiyan was more than willing to ask and answer questions. 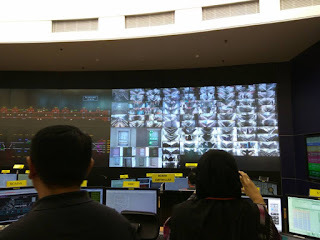 The ice was broken, civilities were exchanged, we trooped behind Dato' and COO, into the elevator that swiftly swept up to the above level, to the Control Room. 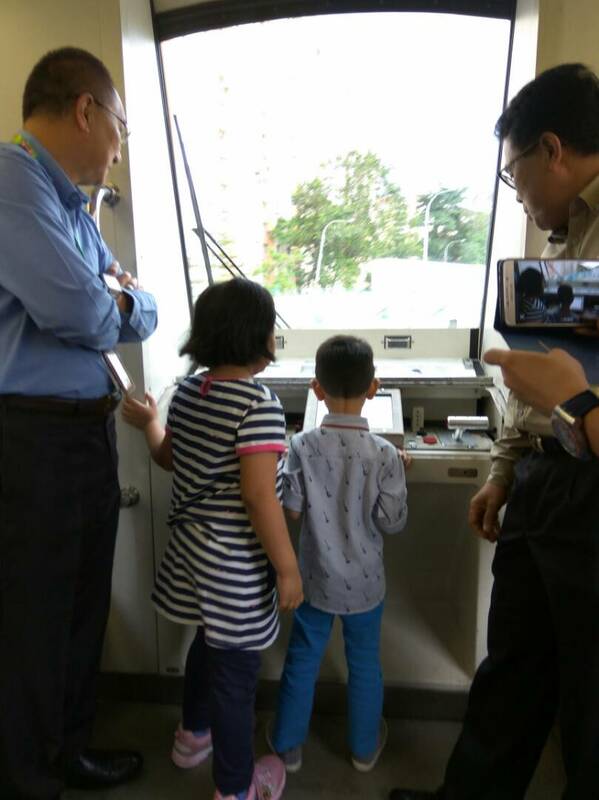 Daiyan (the adults too) were spellbound by the intricateness and complexity of the Control Room, and as Dato' explained this Control Room is the heart of the LRT. 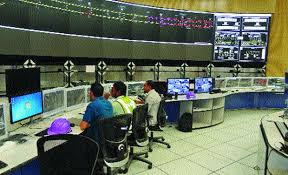 A big curving screen dominate the control room with computers plus gadgets similar to the Control Room of the busiest train station in the world, Chhatrapati Shivaji Terminus in Mumbai, India. 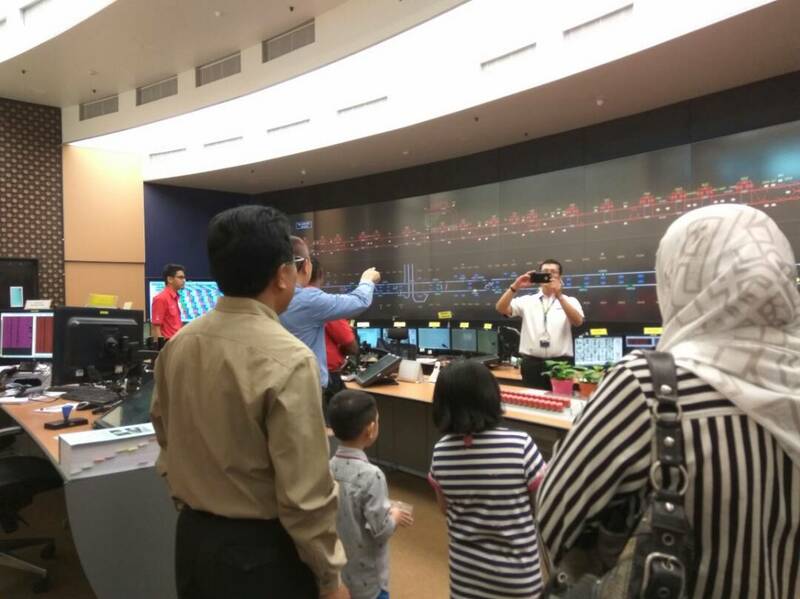 I saw this control room in a TV program Discovery World about this busy station..
To the Rapidrail's personnels' delight, Daiyan ranted on all the station names, 37 stations all together, in perfect order. He received a loud applause from his appreciative audience. Daiyan was enthralled by the screens showing the stations. The Masjid Jamek Stations seemed to be the most congested at that time. 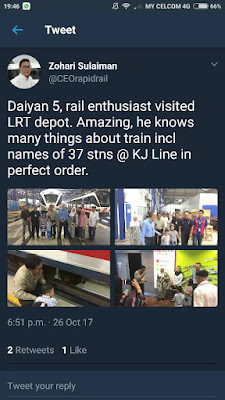 Dato' CEO mentioned to Daiyan that he would know if Daiyan was at one of these stations. 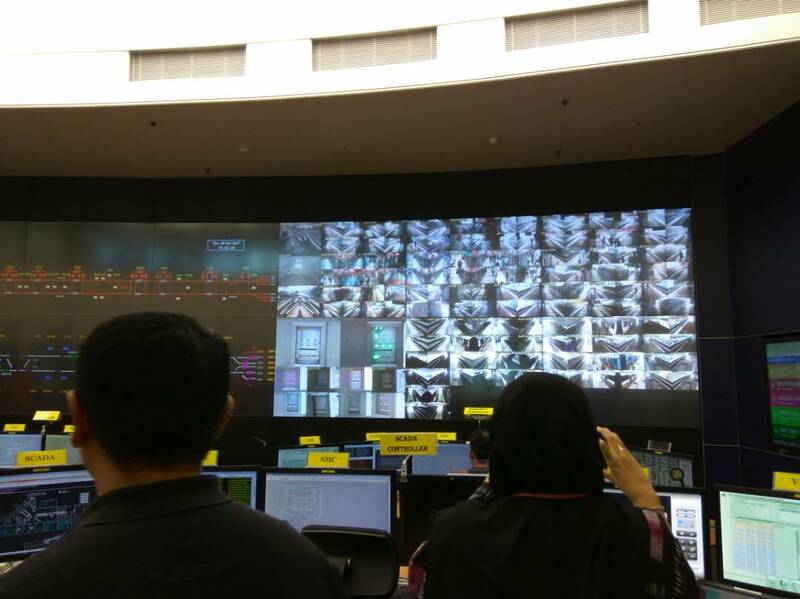 He could see Daiyan from this control room. Daiyan's jaw dropped in amazement, when knowing he could be detected from afar. All the time during this visit at the control room, l kept my distance from all those computers. So did the other ladies except for Dini who kept a watchful eyes on her son, who was constantly besides Dato' CEO. ( Actually l kept my distance because l did not want to stumble and accidently pushed the buttons studded in front of me. Nobody dared touch these buttons. A push will immediately stop the trains now moving along the rail tracks all over Kuala Lumper and its outskirt! 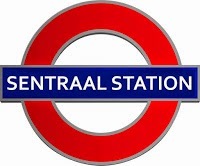 Frankly, throughout the whole session at the control room, l could not hear clearly what were being asked or answered by Daiyan because l was standing way behind, and my attentions wandered on the stations screen. 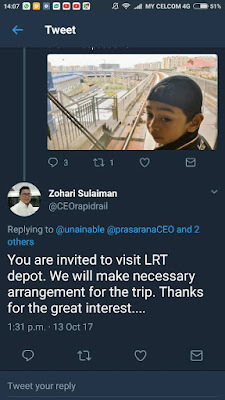 Me, too, as an adult was bemused by the opportunity to see all the 37 LRT stations at one go! l too, started comparing which were the busiest and quietest! Thus l could not relate what was going on. But Daiyan was seen talking animatedly to Dato' CEO and his personnels. We heard them laughing when Daiyan imitated trains making the 'gegegup' sound while changing tracks. They seemed to enjoy talking to Daiyan. And were humoured by Daiyan's antic and cute pronounciations of two of the stations' names, Bank Rakyat Bangsar Station and Ara Damansara Station. 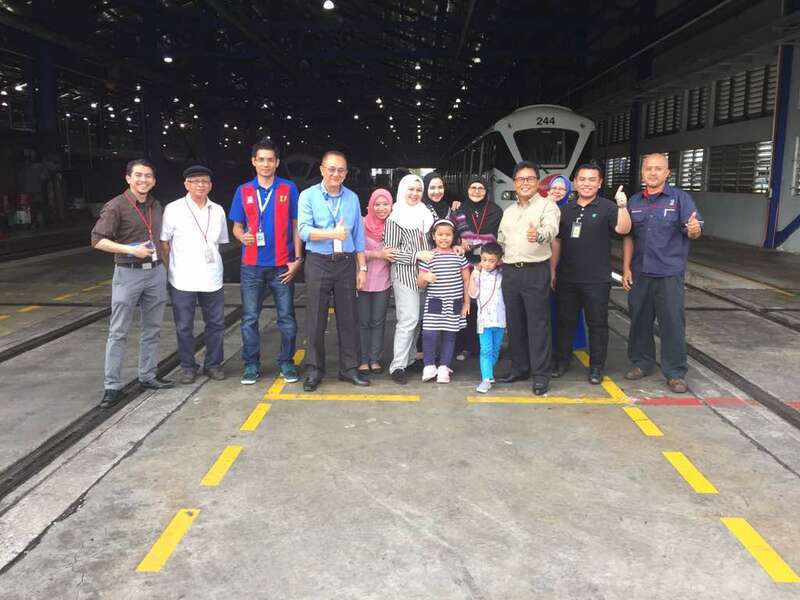 We proceeded to the workshop where new trains parts were installed and 'broken' trains being repaired. Quite a tedious and tiring walkabout for a grandma and grand aunty too. The complex was huge and l felt was walking kilometers around. 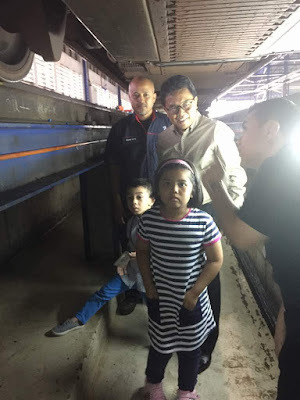 But, l saw how happy and engrossed our grandson, he was listening with keen interest to what the CEO, COO, and other Rapidrail personnels were saying,all of these made me forgot my ailments. The tour came to an end. It was fruitful visit for all of us. We were grateful and appreciated Dato' CEO, COO and other personnel 's willingness to have spent their precious working time with us, especially for making the efforts to entertain a five year old train enthusiast! 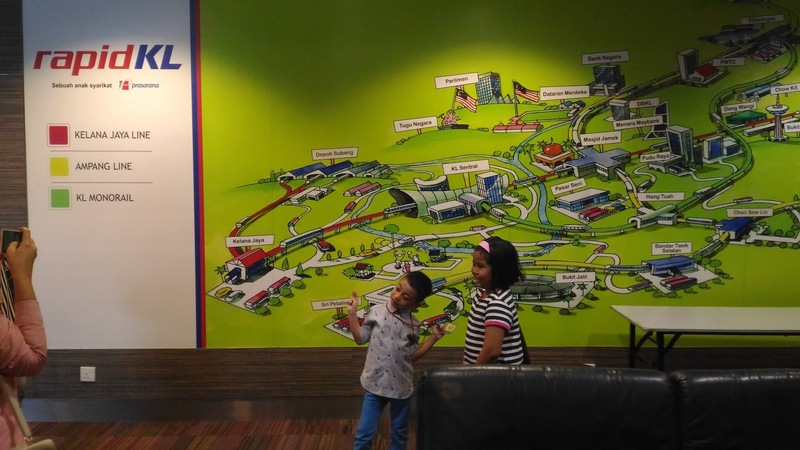 They knew Daiyan wanted to know what the LRT trains were doing while resting from work . This visit fulfilled Daiyan's request. 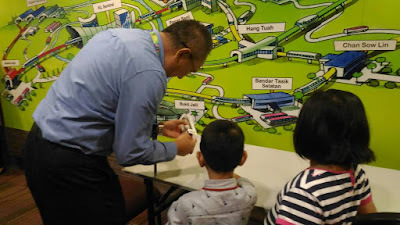 On our part, we were marvelled by the ability of Datuk CEO and the COO to communicate with small children and effortlessly and easily drawn their undivided attentions to the their explanations about the running the LRT trains and stations plus the depot. After the visit, Daiyan was too busy telling everyone about his visit to the depot. He retold his tales dozens of times, to us, his friends, his teachers, relatives and strangers too . He was basking in happiness. May Allah blessed Datuk CEO and his personnels for making a child happy! On the last note, well, we sometimes have doubts.Did Daiyan understand what he had heard and seen at the depot? In this picture Daiyan was given the opportunity to announce 'Next Station'..
What's under the train...must be interesting to Daiyan..
A few days later we heard him talking via video call to his Tokteh in Kota Bharu. He was countering attack on Tokteh for thinking the depot was for broken LRTs. 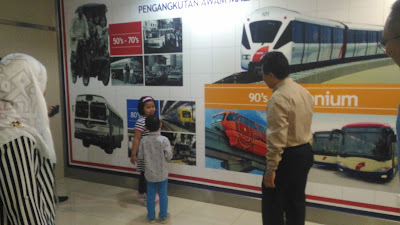 He told Tokteh that Dato' Zohari told him the LRT were new. New LRT trains were shipped from Canada. The ship placed the LRT at Pelabuhan Kelang. Then the lorries brought the LRT trains to the depot where all parts were installed and, the trains were ready for work. (Now, Daiyan has never heard of Canada before, we have not brought him to Pelabuhan Kelang yet. That was the first he heard these names). In that video call, Daiyan, happily swept aside Tokteh 's statement (she actually meant to tease him by saying LRT train had a captain). Before the depot visit,Daiyan did adamantly tell Tokteh that captains are for MAS and other planes . LRT trains had not need for captains. After this depot visit he proudly told his Tokteh. "You are wrong Tokteh. "Its true. LRT does not have captain! LRT has 'onjiniar'(ie engineer). That was the first time he heard the name, engineer. Before this he only heard of doctors, teachers, hafiz quran, captains, pilots, singers, office bosses, even pianist (his cousin is a pianist), Engineer has yet to enter his young life. Daiyan also brought up Tokteh's statement about the depot was only for broken LRTs. He said, "Tokteh, LRT will only 'rosak' (broke down) when too much oil get into its wheels or something. 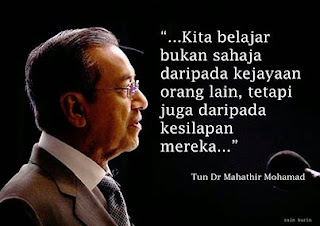 He did mention a term but Tokteh could not catch what he had said. That's a technical term, Tokteh did not know it neither me. Anyway this conversation proved a point. Daiyan understood whatever he had been told, even the technical terms and parts. 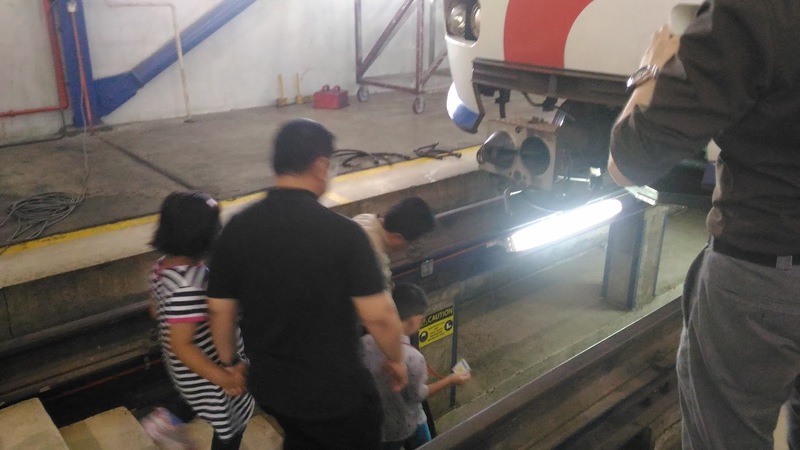 I remember now during the whole tour at the LRT depot, the boisterous Daiyan who was dashing around at the Rapidrail foyer earlier was gone. In his place was an attentive little boy or could l described him, as an engineering student, who was quietly listening to his Guru? Love U, Daiyan. Become a engineer one day. A hafiz LRT train engineer! Thumbs up for on the good behaviour. Nanti Tokteh beri present! Masa Dato' Zohari tanya apa cita2 nanti..nok jadi supo Dato' ke? Surprisingly he answered nok jadi doktor...Dato' mmg train enthusiast jugok..35 years working in this field! Daiyan kenal kerja doktor. suka tiru doktor merawat pesakit sbb dia pernah beberapa kali masuk wad, pergi klinik. 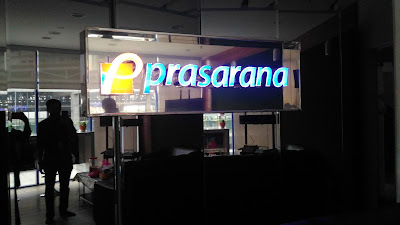 Peralatan doktor pun dia ada. skrg, Daiyan dah diperkenalkan kerja jurutera yg lagi 'happenings' mesti dia dah ubah cita-cita. nk jd engineer.